Houdini came to us from a woman who heard about him through a Craigslist ad. He was only five months at the time and was being given away by a local pet store because he was too old to sell and no one wanted him. She gave him the name Houdini, well, we’re sure you have guessed why. Because he is an escape artist (as most Huskies are) and he kept getting out of his crate. She reached out to us for help in finding Houdini the home he deserved. 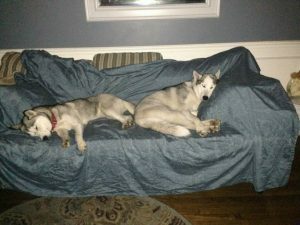 We were lucky to find an amazing foster who already had two huskies of her own and was experienced with all their quirks and, of course, their seemingly magical abilities to escape. 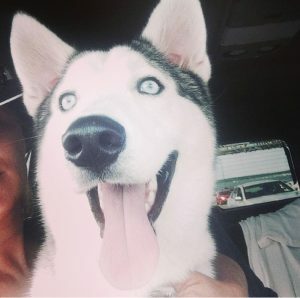 It didn’t take long for the foster to become forever as his family fell in love and couldn’t let him go. We can’t say we blame them!